I am so excited to be hosting my first giveaway!!!! In fact, I have decided to do a giveaway every Wednesday this month as a way of saying Thank You to all of my amazing followers. All you have to do is follow my blog and my TPT store to enter. What is the prize, you ask???? 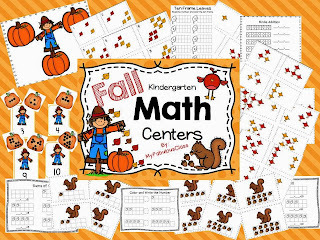 This week, I will be giving away a November Bundle of Literacy and Math activities..
My Fall Math Centers. 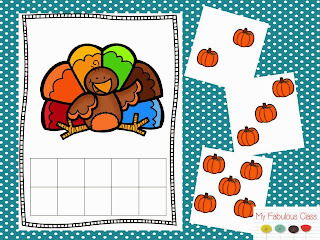 This pack is prefect for the beginning of November when you are not ready for turkeys. There are subitizing pumpkins (I LOVE saying subitizing!) There are activities for one to one counting, sums of 5, sums of ten, and adding a number to any addend 1-10. There are a total of six meaningful math centers that can be differentiated to meet all of your students needs. 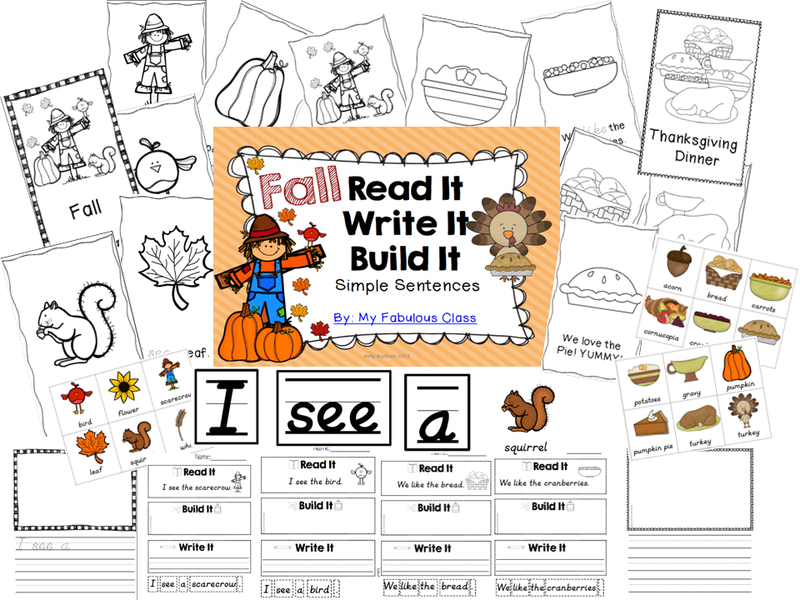 My Fall Read It, Write It, Build It is an engaging way to work on sight words, concepts about print, and writing. 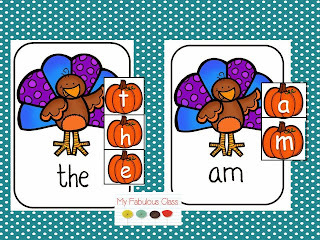 There are two easy readers that work on the words I, we, see, a, the, and, like. After introducing the center, you can have students practice building their own sentence with the sight words and colorful vocabulary cards. Students can record their different sentences. 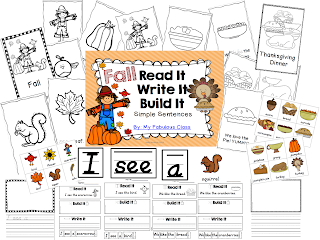 Some students may need extra support to trace the words still, while other are ready to write one, two, or more sentences. There is also a cut and paste read, write, build sheet for every sentence in the stories. 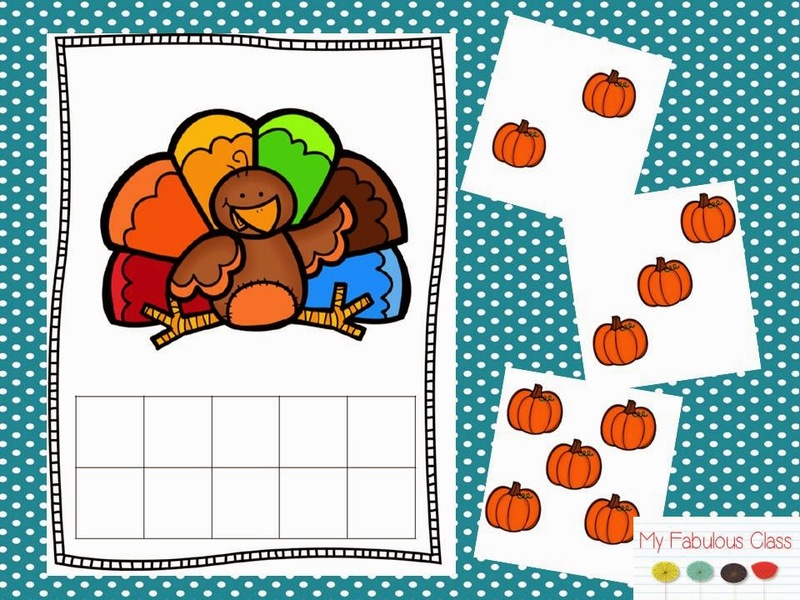 My newest creation is Turkey, Turkey - Math and Literacy Centers for Kindergarten. It comes with 4 Math games and 4 Literacy games. 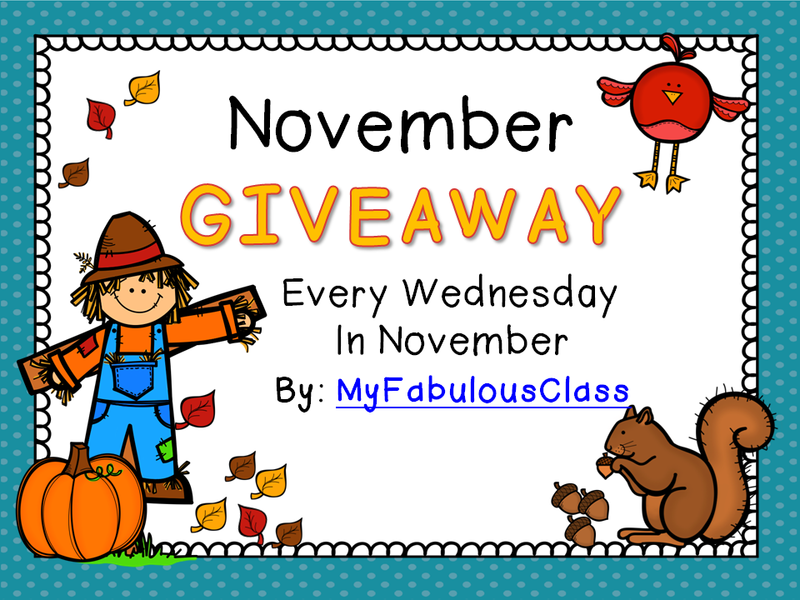 Enter below by following my blog and my TPT store. The entry close on Tuesday. 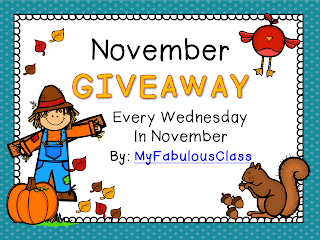 Next Wednesday I will have a new giveaway with new prizes. One week there may even be a Target gift card.....just in time for Black Friday! If you don't want to wait to win, you can buy them now! These Thanksgiving stations look great! What a great idea. Love the blog. I'm your newest follower!